by Phillip Pullman | Children's Books | This book has not been rated. 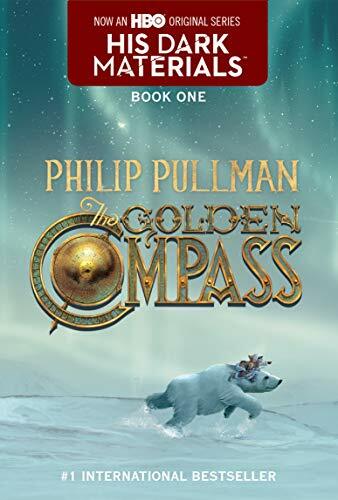 "In a landmark epic of fantasy and storytelling, Philip Pullman invites readers into a world as convincing and thoroughly realized as Narnia, Earthsea, or Redwall. Here lives an orphaned ward named Lyra Belacqua, whose carefree life among the scholars at Oxford's Jordan College is shattered by the arrival of two powerful visitors. First, her fearsome uncle, Lord Asriel, appears with evidence of mystery and danger in the far North, including photographs of a mysterious celestial phenomenon called Dust and the dim outline of a city suspended in the Aurora Borealis that he suspects is part of an alternate universe. He leaves Lyra in the care of Mrs. Coulter, an enigmatic scholar and explorer who offers to give Lyra the attention her uncle has long refused her. In this multilayered narrative, however, nothing is as it seems. Lyra sets out for the top of the world in search of her kidnapped playmate, Roger, bearing a rare truth-telling instrument, the compass of the title. All around her children are disappearing—victims of so-called "Gobblers"—and being used as subjects in terrible experiments that separate humans from their daemons, creatures that reflect each person's inner being. And somehow, both Lord Asriel and Mrs. Coulter are involved." Copy #2, picked up at Goodwill. 10/31/07 -- Just finished the audiobook version of this, which was nice in that it had a full cast of voices. However, I think I was a little disappointed in the story overall, mostly because I guess I just expected it to be really great & it was just "okay" in my opinion. But...I'm a sucker for series books & I have books 2 & 3 waiting to be read, so I'll undoubtedly be reading those soon as well. And I'm also looking forward to the "The Golden Compass" movie, due out in the next month or so. We'll see how it compares to the book! It was a happy surprise to open up the mailbox today and find this book. I've meant to start this series for years, so I hope to give it a go very soon. Thanks again! Hmmm...it seems that the fates have smiled upon me. I'm the lucky recipient of yet another copy of this book! Because of that, I'll let this copy go out into the world once again (thanks, indygo88!). This will soon be on its way to KarenZero. Enjoy! Thanks so much for sharing it! Leaving on the shelf at Ozzie's in Brooklyn, NY.